All ovens bake. That’s what they do. And our job is to cover your Airdrie oven repair requests should one of your home ovens is failing your expectations. There are regular built-in ovens but also range ovens and microwaves. And there are differences in their technology and the way they are made. There are also distinctions among models and special features identifying brands. But regardless of their special features when they break down, they cause frustration. That’s why we are here for. At Appliance Repair Airdrie, you will find comfort knowing that our pros can help you quickly should there is a problem with your home oven. We also provide quick microwave oven repair and install new ovens whether they are ranges or built-in models. Each service requires up to date knowledge and extensive training. It might seem easy to connect an electric range but if it’s not done right, chances are that you might have trouble later. When it comes to gas oven installation, things might get a bit tricky. Our experts are strictly trained to install gas ranges and built-in ovens right. And we always go by the book whether we are assigned to do range services or built-in oven installation. 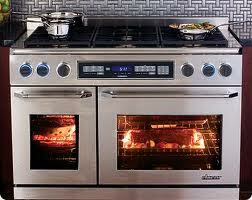 When it comes to oven repairs, rely on our experts. 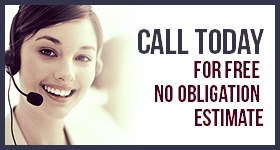 We make an effort to cover your needs the same day and as fast as possible. When the heating elements of your appliance burn out, you won’t be able to use it. But this is not the only problem with ovens. The gasket of the door might become damaged. And when this happens, the oven will still bake but it will take long since energy will be lost. So with our oven service, what we do is fix or replace parts to enhance the appliance’s capacities and eliminate energy loss. And then there is a possibility of gas emission. When you are confronted with such problems, rely on our emergency gas oven repair. We go out of our way in order to help customers in Airdrie, Alberta, as soon as we possibly can. So give us a call whenever you need oven repair in Airdrie.